Liverpool attacker Mohamed Salah has reportedly signalled his agent to look into a proposed move to Real Madrid. 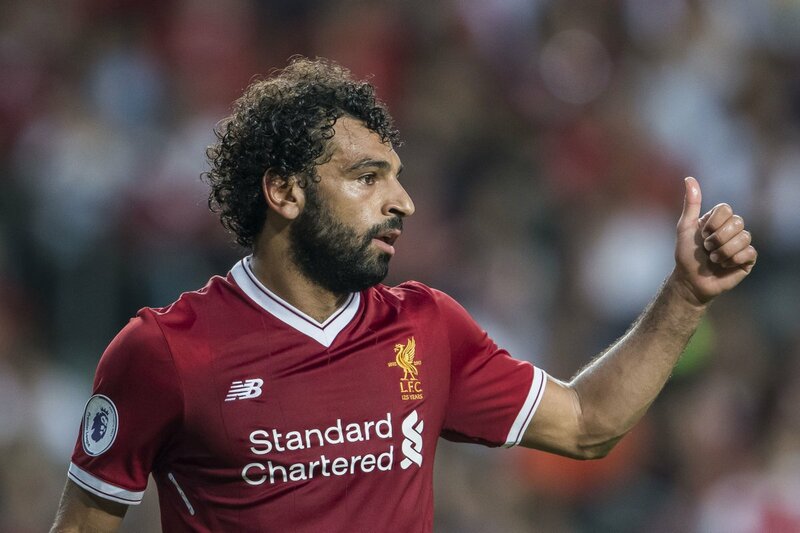 The Egypt international has been a huge hit since his arrival at Anfield, contributing 15 goals in just 19 appearances in the English top-flight. According to Don Balon, the 25-year-old is open to the prospect of playing for the European champions and has indicated his representative to open up talks over a proposed move. However, the deal is unlikely to proceed until the summer at the least with the Reds not in any mood to entertain offers this winter. As per the publication, Los Blancos president Florentino Perez sees the forward as a potential replacement for Gareth Bale, whose time in the Spanish capital has been plagued by injuries. The Welshman has featured in just one-third of the club’s La Liga games since the 2016/17 season, and his future has been put into doubt beyond the summer. Despite his injury concerns, Bale is alleged to be a transfer target for Manchester United and ex-club Tottenham Hotspur, and there has been a suggestion that he has a verbal agreement in place to join the latter at the end of the current campaign. Bale is undoubtedly one of Europe’s leading attackers from the left wing, but he is currently struggling to command a regular spot in the starting line-up. Spain international Isco has emerged as a key performer in his injury absence, and he may need to prove his fitness over an extended period in order to become a regular under Zidane once more. Real Madrid are currently 14 points behind Barcelona in the league standings with a game in hand, and their chances of retaining the title look bleak, unless the Catalan giants go through a lean patch once they return from the winter break in early January.